New Solid-Wash Batts in 3 colourways.. 50gr batts - 2 of each colourway. These are my semi-solid duty to those who resist variegation (i know you are out there!).. but really, semi-solids are something special - so handy to add to other colours, & to boost up some batts you already have. I personally love superwash as a mum, terribly practical when knitting for the kiddos -you can just chuck it in the wash & it'll come up as sweet as before the wash - i'll give it 10 points for no shrinking! 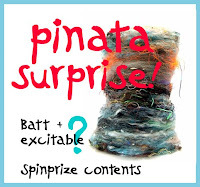 A couple of New Pinata Batts: These are simply AWSOME! Ultra fun mozza batts with surprises inside! Each is OOAK - never to be repeated, so jump on your horses i say! 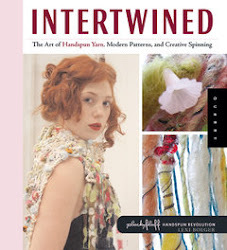 BEautiful random batts to free up your creativity *-* mmmm.... art yarn lovers idea of paradise! Also, some divine handpainted silk caps, a few card-your-own grab baggies, and also some handdyed yarns coming back in store too. Keep a look out over the next few days, as i'll be updating infrequently! that'll surely keep you coming back, right!